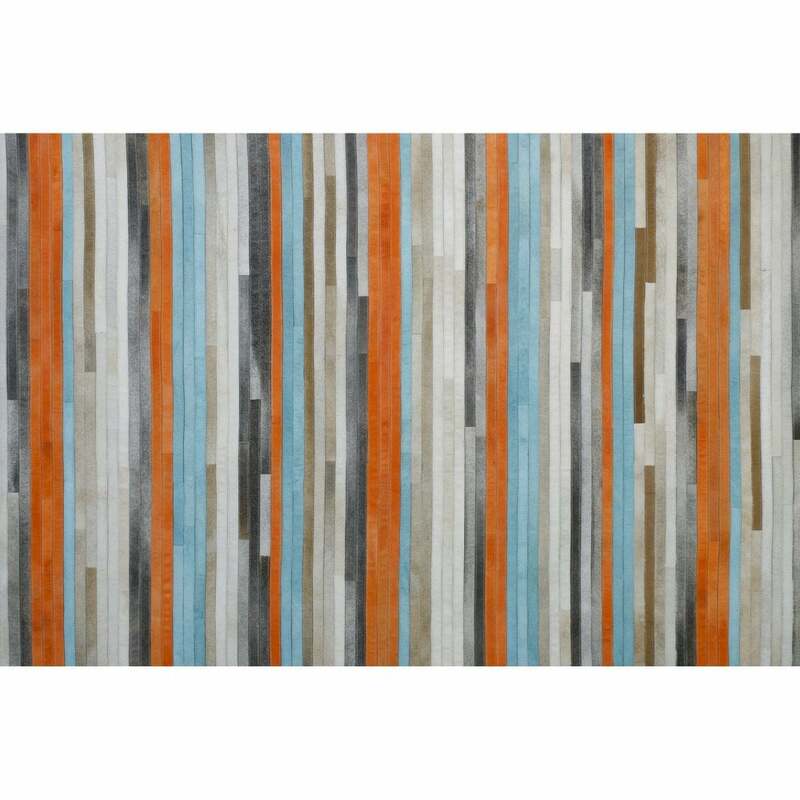 Wonderful, bright and stripy leather rug in modern colours of orange, blue and browns. Hand sewn and 100% leather. Other sizes available, please contact us for details.